The breeze in your air, the sun shining overhead, and a powerful machine in your hands that can find its way through the tightest spots – that’s what motorcycling is all about. Contrary to popular notion, a motorcycle is not unsafe, given that you follow some safety precautions. While you can buy motorcycles with an array of advanced safety features at online salvage motorcycle auctions hosted by SalvageBid, there are some precautionary steps you should also take to ensure maximum on-road safety. This blog lists some of the precautionary steps you should learn before riding a motorcycle. 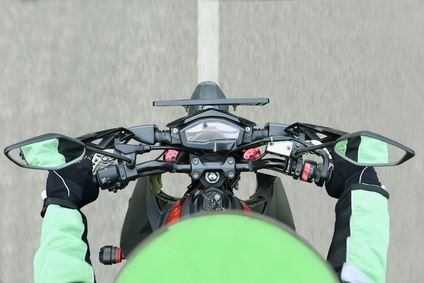 While you may learn to drive a motorcycle like a pro, you can never be prepared for sudden situations on the road, where you need to stop instantly. That’s why it is advisable to specifically practice emergency braking in an open area with no other vehicles to strengthen your muscle memory and improve reflexes. A motorcycle isn’t covered on all sides like a car or pickup truck, which means you are not safe from weather conditions. Make sure you check the weather conditions before taking your motorcycle out for a ride. If you are out on the road and the weather conditions suddenly worsen, immediately pull over at the nearest shelter, as riding on wet roads can be risky. To fully enjoy the freedom offered by a motorcycle, make sure you wear proper safety gear to ensure minimal consequences in case of an accident. No matter the weather or season, your safety gear should include a reinforced jacket, full paints, gloves, eyeglasses, and over-the-ankle boots to ensure maximum protection. Make it a point to check the tire pressure before you take your motorcycle out for a spin. Excessively inflated or deflated tires are more prone to losing grip while driving or even bursting, both of which can lead to an accident. You can either buy a tire pressure gauge or visit a nearby mechanic if you have a reason for concern. Whether you are planning to buy your first motorcycle or update an existing one, keep the safety tips mentioned in the blog in mind. While there are many high-end motorcycles with advanced safety features available on the market, you do not need to spend a fortune to buy them. SalvageBid offers an online platform to buy salvage motorcycles for sale at affordable prices. Start by registering to participate in our online auctions and bid at a motorcycle of your choice. If you wish to learn about our auto-shipping partners or have other related questions, fill out our contact form or call +1 (360) 347-1300.